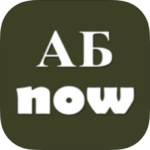 The Cyrillic Alphabet Now app is a learning tool to help you learn to read and write the core 29 letters of the common Cyrillic alphabet used in many Slavic, Turkic, Uralic or Mongolian or Iranian languages. It does NOT contain all the letters of theses languages, for example for Russian it lacks 4 specific letters or Bulgarian it lacks 3 letters. The core Cyrillic alphabet is presented in 6 lessons that cover both print and cursive scripts. For specific languages and their pronunciation guides, please see the other appropriate apps we have published. After covering each lesson, a multiple choice quiz will help you test what you’ve learned. With its simple interface you can learn the alphabet in a few days. Study the letters in each lesson and write them down several times. Use the Write tab to learn to write letters in both the cursive and print scripts. Click on completed, once you know the lesson. Use the quiz to test your knowledge. Only the lessons marked completed appear in the quiz. Now available for the iPad or iPhone, here.